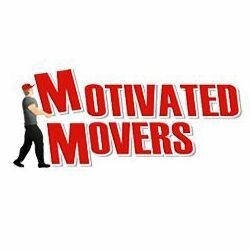 Motivated Movers - Motivated Movers Atlanta is a full-service moving company that does residential, long distance, and commercial moves. Motivated Movers Atlanta is a full-service moving company that does residential, long distance, and commercial moves. Looking for a moving company in the Atlanta area? Turn to Motivated Movers Atlanta. Motivated Movers Atlanta is a full-service moving company that does residential, long distance, and commercial moves. We have an Angie's List Superior Service Award and are committed to exceptional customer service. Looking to move? We have you covered. Loading and unloading Contact us today for a free quote! All Force Movers is a moving company proudly providing moving services in Georgia and the United States at large with full residential and commercial moving and storage services. Ready To Move, LLC is Georgia's first independently owned licensed nationwide movers. We provide local & long distance moving services in Macon, Warner Robins & Milledgeville, GA.